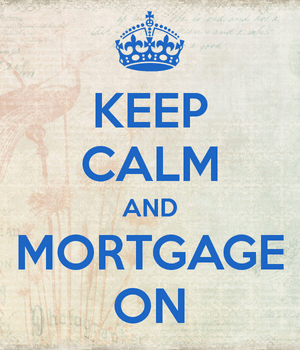 Let’s talk about mortgage marketing for a moment. I’d hate to call it deceptive, since that’s a term used by the FTC and other government outfits to call out shady companies doing less than kosher things. So that may be a bit harsh. You see, there are ads, whether they’re in your local newspaper, on a billboard, at a bus stop, or online, which advertise a “low fixed rate” on your home loan. Unfortunately, many of these aren’t really fixed-rate mortgages. In fact, they’re quite the opposite. Say what? That’s right. These purported fixed-rate mortgages are often adjustable-rate mortgages, otherwise known as ARMs, and more harshly referred to as “exploding ARMs” by those who got burned by interest rate resets. You see, somewhere along the way mortgage lenders got the bright idea that they could advertise super low mortgage rates on popular 30-year mortgages by exploiting the amortization period. Most mortgages, whether they’re truly fixed for the life of the loan or adjustable, have a 30-year term. So a 5/1 ARM is still a 30-year mortgage, but the mortgage rate is only fixed for the first five years before becoming annually adjustable for the remaining 25. That’s a pretty important detail. This makes it a so-called “hybrid ARM” because it has both a fixed and adjustable-rate component during the full mortgage term. A 30-year fixed mortgage, on the other hand, has an interest rate that’s fixed for 30 years. That means the mortgage rate never changes. Ever. As a result, you would expect the hybrid ARM to come cheaper than the 30-year fixed for that future interest rate uncertainty. In fact, a whole 25 years of uncertainty. And indeed, the 30-year fixed is currently pricing around 4%, while the 5/1 ARM is pricing around 3%, per the latest Freddie Mac data. Advertisers can use this gray area to offer you a remarkably low mortgage rate by highlighting the fixed portion of hybrid ARMs, while brushing aside the adjustable period that follows. So that “3% 30-year mortgage rate” you’re seeing is indeed too good to be true. You’re simply being offered an ARM at the standard market price, while probably thinking the rate is fixed for 30 years. That isn’t to say this won’t be explained before you sign on the dotted line, but the blaring bold-texted rate may be enough to get you in the door before the bait-and-switch happens. For this reason, it’s very important to read the fine print and ask plenty of questions before agreeing to anything. Mortgage professionals know home loans are complicated business, and some bank on borrowers not knowing the difference between one product and another.